I have just returned from one of the most exciting scientific meetings I have ever attended, the EBVM 2014 conference organized by the RCVS Knowledge, the charity arm of the Royal College of Veterinary Surgeons. Over 250 people from around the world attended, full of enthusiasm and ideas for improving veterinary medicine for patients, animal owners, and veterinarians, through the development and promotion of evidence-based veterinary medicine (EBVM). Vets from teaching and research institutions, general and specialty private practice, other sectors of the veterinary profession, and affiliated industries spent two days meeting and talking about EBVM and how it can be developed and implemented to make veterinary care safer and more effective. The conference grew out of an earlier, smaller meeting in 2012, Sceptical Vet: Evidence or Eminence?, which I also attended. The RCVS first formed an EBVM Network open to everyone interested in EBVM. Members of this network, along with the staff of the RCVS, then put together the goals and agenda for the EBVM 2014 conference. Speakers included pioneering academics involved in EBVM research and teaching, like Dr. Mark Holmes; private practitioners such as myself and Dr. David Ramey; veterinary nurses and other veterinary professionals; and representatives of existing organizations devoted to promoting EBVM, including the Centre for Evidence-based Medicine (CEVM) at the University of Nottingham and the Evidence-Based Veterinary Medicine Association (EBVMA). The full program is available here, and eventually recordings of all the talks and associated slides will be available on the web. I just wanted to highlight a few key themes and projects addressed at the meeting. The first of these was the importance of moving EBVM beyond the universities and specialty centers and into general practice. The vast majority of veterinary care is provided by first-opinion veterinarians, and the full impact of EBVM on the welfare of veterinary patients can only be achieved by overcoming resistance and obstacles to widespread practice of EBVM in this setting. Teaching primary care veterinarians what EBVM is, and what it isn’t, and dealing effectively with barriers to adoption of EBVM are all necessary steps that were discussed at this meeting. Examples were also presented of successful implementation of EBVM in general practice, such as a presentation about the adoption of clinical practice guidelines for small animal CPR in my own hospital. Of course, the lack of high quality and relevant research evidence is one of the greatest barriers to widespread use of EBVM, and much discussion was focused on ways to grow and improve the evidence base. Speakers were not afraid to directly address limitations and weaknesses in the scientific evidence that might reduce the usefulness of EBVM in the clinical setting. If we are to be successful in using EBVM to improve veterinary medicine, we need to be clear-eyed about the limitations in EBVM theory and practice and the pitfalls involved in widespread adoption of it so we can successfully use EBVM methods to improve veterinary care. 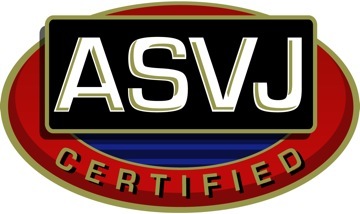 Much time was also given to practical strategies for using EBVM, including the best practices for developing and implementing clinical practice guidelines, the uses and misuses of systematic reviews, the teaching of EBVM to veterinarians and veterinary students, and the economic issues of implementing EBVM in different areas of veterinary medicine, from food production and public health to companion animal practice. Lots of ideas were discussed for future projects. The EBVMA, CEVM and RCVS Knowledge have all endorsed the AllTrials Initiative, a movement in human medicine to encourage the registration of clinical research studies and the open sharing of all data from these trials so that doctors and patients can make the best-informed decisions possible about the use of the treatments studied in these trials. There is currently no way for most veterinary researchers to register their studies, or for others to access their data, and an AllTrials Initiative for veterinary medicine was a popular idea. Projects for generating more and better research evidence, including more research conducted in general private practice, were also discussed, as well as projects to make useful critical synthesis of existing research more widely available to clinicians. 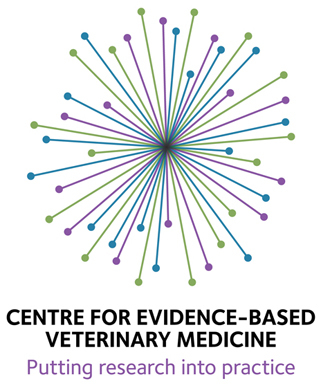 RCVS Knowledge also announced their intention to produce a Journal of Evidence-Based Veterinary Practice, and to open a web-based forum for interested veterinary professionals to discuss particular projects and topics in EBVM. I will create a post specifically to provide links to these and other EBVM resources as they become available. Many of the ideas and projects discussed at EBVM 2014 will take shape in the two years between now and the next major EBVM meeting RCVS plans to sponsor, to be held in Edinburgh in 2016, and I look forward to participating in this process. It was inspiring to spend these two days talking with so many people full of enthusiasm for improving veterinary medicine and the care veterinary patients receive using the tools of science. Evidence-based medicine has changed the landscape of human healthcare dramatically and for the better, and I am confident it will do the same for veterinary medicine. It is truly an exciting time to be in the veterinary profession, and I am proud to be contributing in a small way to this movement. In no way are your efforts small, Dr. McKenzie! That does sound very exciting, indeed, and great that you were able to attend/participate. I worry that you will get discouraged as a seemingly lone voice in the wilderness! It will be cool to check out the presentations once they’re uploaded. Meanwhile, thanks for the links to your primer videos on what EBVM is and isn’t and on the barriers to adoption. What a great initiative! And as DianeM suggests it is important for like minded professionals to have places to support each other as well as to extend their knowledge.